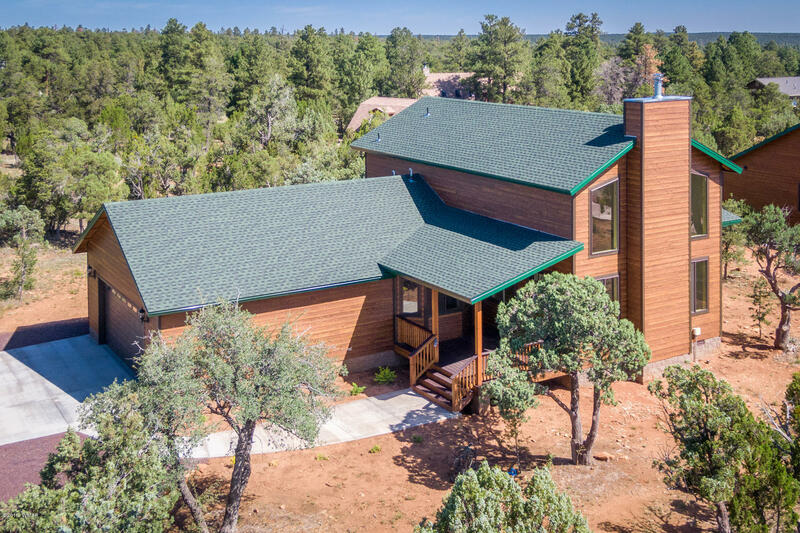 Stunning Brand New Custom Built Home in High Country Pines! Great room concept w/ hardwood floors and ceramic tile. Soaring rock accented wood burning fireplace. Vaulted T/G ceiling and accents throughout. Upgraded birch self-close kitchen cabinets, Kitchenaid appliances, and granite countertops. Two master split bedrooms down and large loft bedroom w/ picturesque views, closet and private full bath ideal for office or private bedroom suite. On demand/tankless water heater, foam insulation and low maintenance smart siding. Covered front and back composite deck. Over-sized two car garage. Hurry, this property won't last!